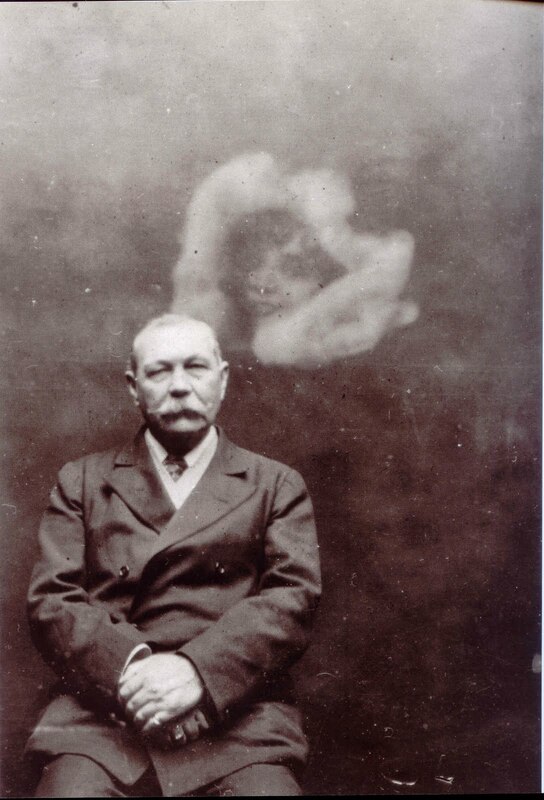 Don’t ask how but a document, originating from Madame Blavatsky, containing several photographs have come into our possession and it is been impressed upon us that they actually belonged to Conan Doyle himself. The document states that these photos were taken in 1912 around South Norwood maybe the Country Park area but more realistically South Norwood Lakes. We are currently having the photo’s cleaned and all will be revealed in the next month. The only other thing we will say is Conan Doyle was concerned about being discredited on his own doorstep!